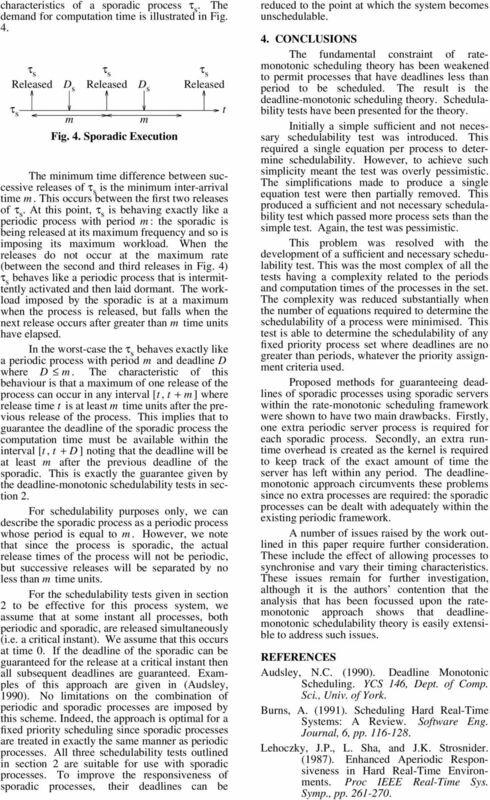 HARD REAL-TIME SCHEDULING: THE DEADLINE-MONOTONIC APPROACH 1. Department of Computer Science, University of York, York, YO1 5DD, England. 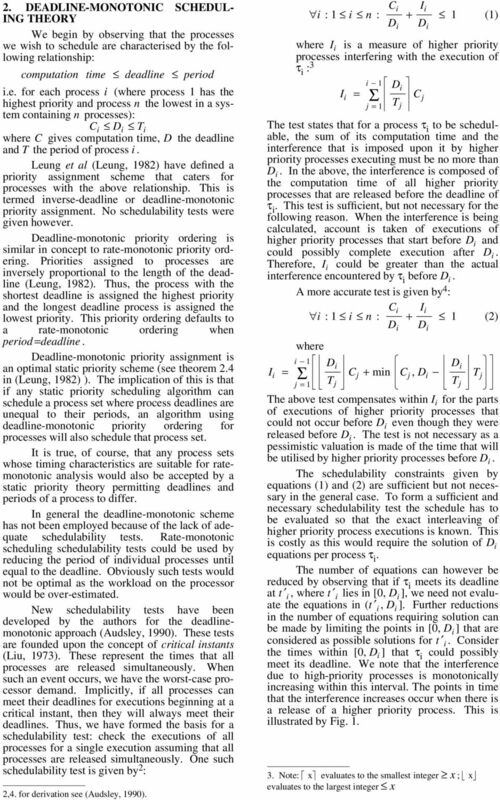 Download "HARD REAL-TIME SCHEDULING: THE DEADLINE-MONOTONIC APPROACH 1. Department of Computer Science, University of York, York, YO1 5DD, England." 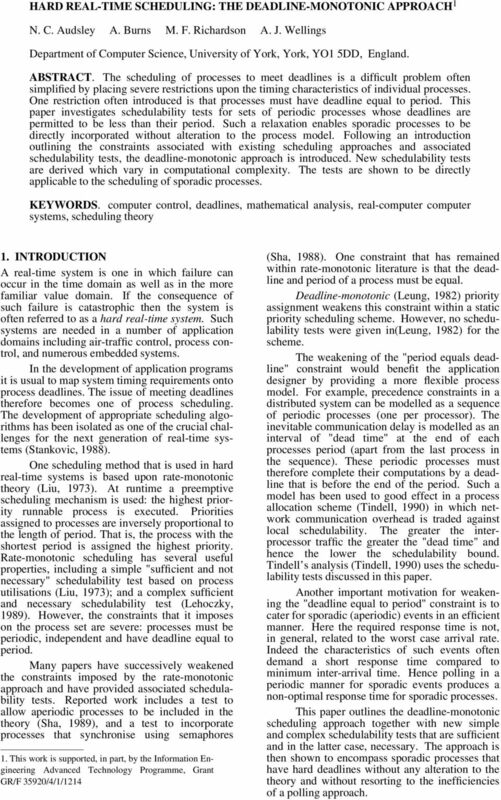 Aperiodic Task Scheduling Gerhard Fohler Mälardalen University, Sweden gerhard.fohler@mdh.se Real-Time Systems Gerhard Fohler 2005 Non Periodic Tasks So far periodic events and tasks what about others? Lec. 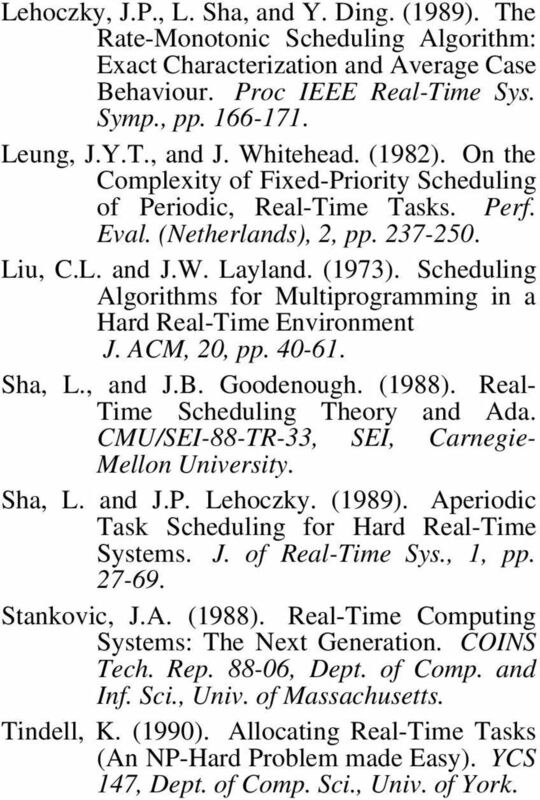 7: Real-Time Scheduling Part 1: Fixed Priority Assignment Vijay Raghunathan ECE568/CS590/ECE495/CS490 Spring 2011 Reading List: RM Scheduling 2 [Balarin98] F. Balarin, L. Lavagno, P. Murthy, and A. 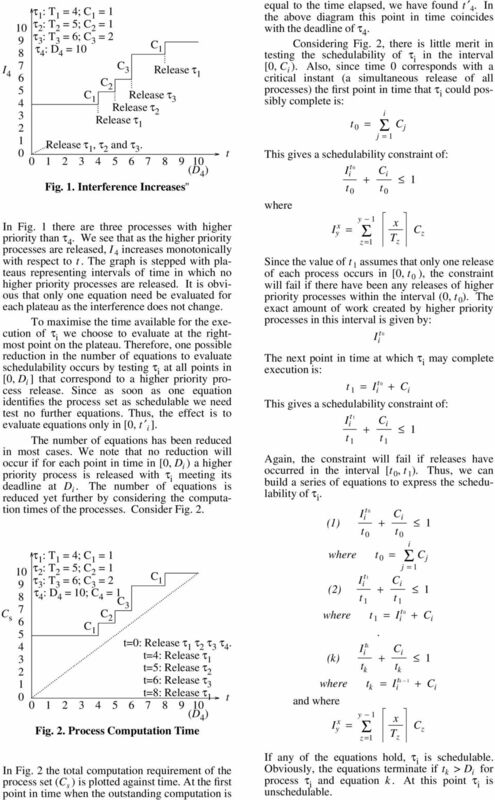 In Proceedings of the First IEEE Workshop on Real-Time Applications, New York, NY, May 1993. Implementing Real-Time services in MINIX Gabriel A. Wainer Departamento de Computación. Facultad de Ciencias Exactas y Naturales. Universidad de Buenos Aires. Pabellón I. Ciudad Universitaria. Argentina. 19/04/2016. What does it mean? 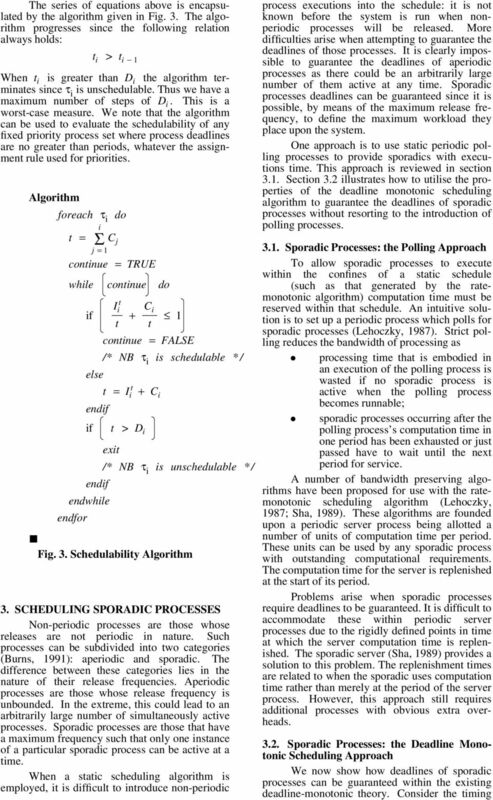 Response-Time Analysis of Conditional DAG Tasks in Multiprocessor Systems. What does it mean? What does it mean?